“Essential Pawn Endings in Chess” – As the title implies, it contains essential pawn endings and its concepts behind the scenes. Most grandmasters say, “Start to learn endings first before anything in chess” so we have started an endgame series called “Complete Endgames Manual” and this is the first book in this series. In this book, we go through some basic concepts first and make it more interesting as we walk ahead. 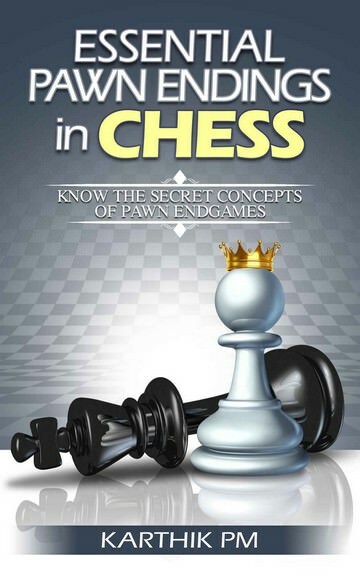 After completing this book, you’ll be able to understand and play any pawn endgames theoretically. We have combined basic, intermediate and some advanced level of positions to make the concepts understand better, other complex positions are coming soon in next part of this book. Yet, this book helps in creating a strong foundation for your endgame play. To get the best out of this book, do not skip any chapter or position before proceeding to the next one even if you feel you knew it already or find it basic. At least skim through the chapter or the position you’re about to skip since they are usually interconnected to later chapters or positions. Beginners try to have a chess board with you since later chapters may get complex for you to imagine and stay in a loop. ¡¡¡Thank you very much RockLeon101 for your new uploads!! !